Nobody ever thought it would happen like this. Common sense seemed to dictate that the first active, openly gay professional athlete in American sports would be someone established — a veteran of his league who knew what he’d be signing up for. That same common sense said that it would probably happen in the NBA, the NHL or Major League Baseball. Surely, in a sport so simultaneously homophobic despite its raging homoeroticism, football would be the last league on the bus — or at the very best, not the first. Sunday night, Michael Sam took everything we thought we knew about the eventualities of the openly gay professional athlete and turned it on its head when he came out as gay. 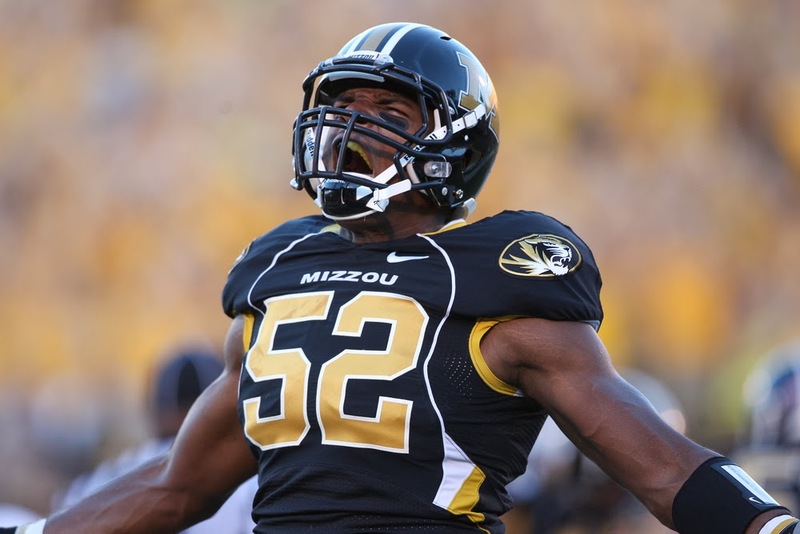 Sam is a 24-year-old defensive end who just finished his senior season playing football for the University of Missouri. He’s a first-team All-American, the Defensive Player of the Year in the Southeastern Conference (college football’s strongest league) and widely considered among the top 10 best players at his position in this year’s draft class. The kid can play. What remains to be seen is whether or not he will. Sam’s announcement will almost certainly have a negative impact on his draft stock — being gay doesn’t make you better at football, but it sure scares the hell out of some of the people who run football teams. He’s probably already been taken off a handful of draft boards, increasing the likelihood that any team that might want him won’t have to burn a pick to get him. Sam might not be drafted, but that’s OK.
There’s no explicable reason other than blatant homophobia Sam won’t be given a fair chance to make an NFL team this summer. The timing of Sam’s announcement is a maneuver of brilliant calculation, as it greatly improves his chances of landing in a good situation; one in which he’ll be embraced and set up to succeed. Come the draft, the only teams that will show interest in drafting or signing Sam will be those that either know their coaches and players are mature enough to have him in camp or those that are willing to tell the hateful factions in their ranks that they can be professional or show themselves the door. The worst case scenario is that Sam won’t get a chance — that owners and executives will collude in their bigotry and keep him out of professional football. Those who are honest with themselves know the NFL is an ugly, exploitative, and hypocritical business. Through risking his career, Sam has called football’s bluff. He’s made his move. It’s time for football to show its mettle. Whether or not he plays professional football isn’t immaterial to Sam’s story, but it’s not the most important part. Sam took care of that on Sunday evening when he displayed more unquestionable bravery and unmitigated courage than everyone in the NFL, from the commissioner on down to the gunner on the Rams’ punt team, could hope to collectively muster themselves. What are the rest of these guys really made of? We’re about to find out.